US 1 Pools is now offering a hybrid above ground pool called the Aquasport 52. This hybrid pool can be completely above ground, partially in-ground, or completely buried in the ground. This hybrid model allows for flexibility in any backyard elevation. This hybrid pool is made of materials that allow it to be fully buried. The pool uses 4-inch extruded aluminum interlocking panels, which provide its strength underground. It is equipped with a standard aluminum bead track that is installed with a regular beaded liner. 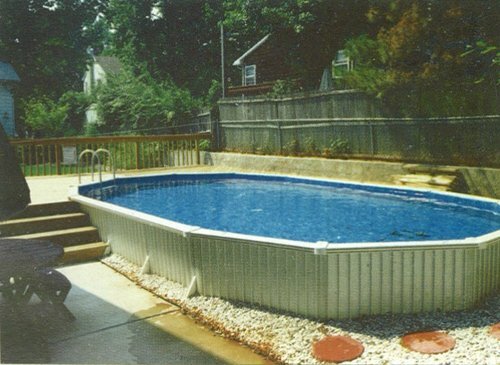 The top rails are also made with aluminum, adding to the strength of the pool. If you decide not to bury the pool, the top rail comes in a gloss white finish matching any outdoor design scheme. Aquasport 52 offers a low-cost alternative to in-ground pools, as it has the capability to be buried, either partially or fully. This flexibility allows you to build a customized deck or patio around the sides of the pool at your own pace. The Aquasport 52 comes in a variety of size options. The smallest available is 12 foot, and largest 24 foot. The pool does not need to be installed in-ground, but it is recommended for the larger options that they are partially buried for structural reasons. 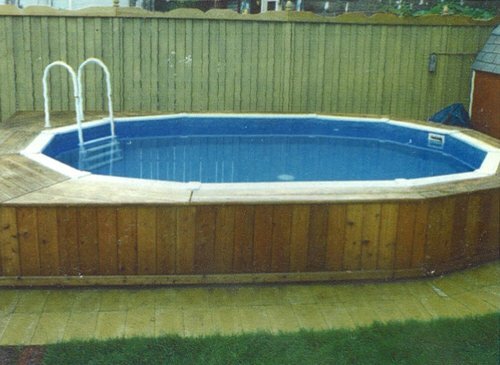 This hybrid pool model is perfect for any size yard. Since it can be above ground, partially in-ground, or completely in-ground, you can meet the architectural needs of your yard. 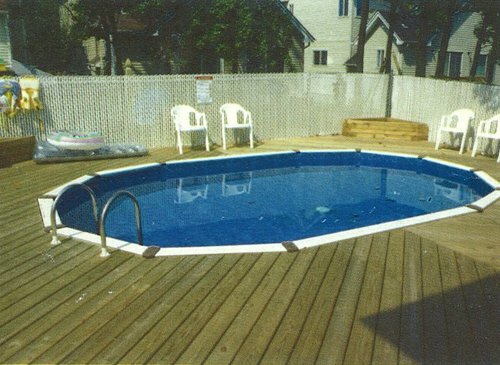 This pool is particularly beneficial for owners with a slope in their yard. Partially burying the pool allows you to maintain the architecture of your yard and still install a beautiful pool. 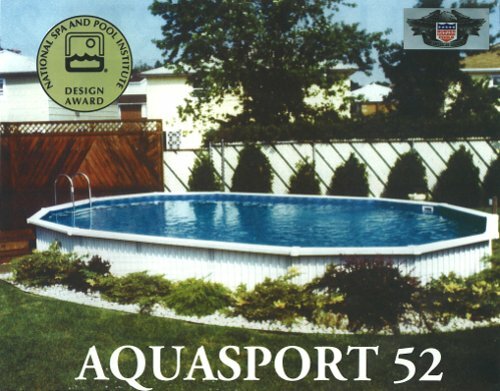 Contact US 1 Pools today to discuss if the Aquasport 52 would be a good pool option for you and your family.